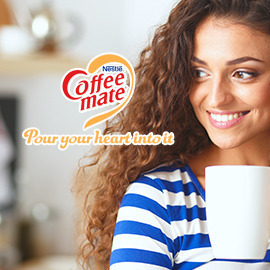 Invent a new generation of Coffee Mate products for Millennials. Wow us with your ideas for new Nestlé Coffee-mate product, to attract the next generation of coffee drinkers! Format: Wow us with your ideas for new Nestlé Coffee-mate product, to attract the next generation of coffee drinkers! Entries are accepted only till May 29, 2016 23:59 UTC!